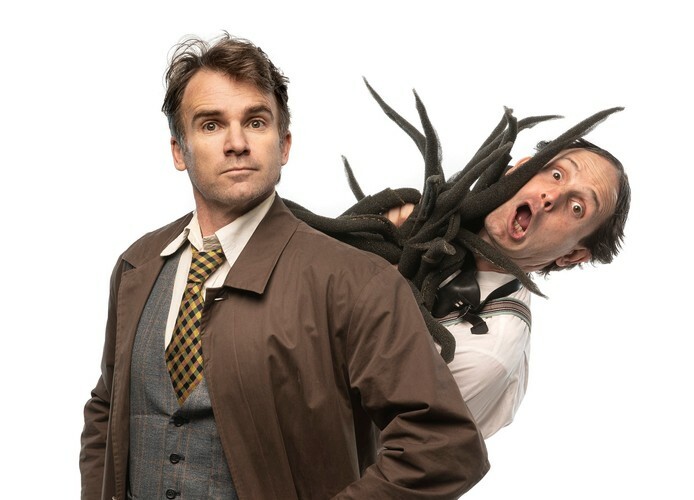 Bunk Puppets proudly presents, as a part of the 2019 Melbourne International Comedy Festival, Stark and Dormy. The latest creation by local award-winning outfit Bunk Puppets, Stark and Dormy is the ultimate dark comedy adventure featuring puppetry, sketch comedy, and unabashedly cool Lo-Fi effects. Weaving together the lives of several outlandish characters living in a seaside town, Stark and Dormy meshes a struggling theme park owner with a dark secret, a teenage girl losing touch with her father, a captive ape plotting escape, a vain restaurateur desperate to be on the culinary cutting edge...and a hungry alien creature just about to crash-land. Part Sci-Fi spoof and part social satire, master storytellers Bunk Puppets use a blend of puppetry and sketch comedy to create an entertaining universe steeped in imagination and creativity, all duly lacquered with a good dose of dark wit. Based in Melbourne, Australia, Bunk Puppets are a multi-award winning company creating cutting edge shadow puppet theatre. Running since 2010, they have traversed the globe and built an outstanding international reputation with their absurdist visual stories. Bookings: 03 9685 5111 or online.